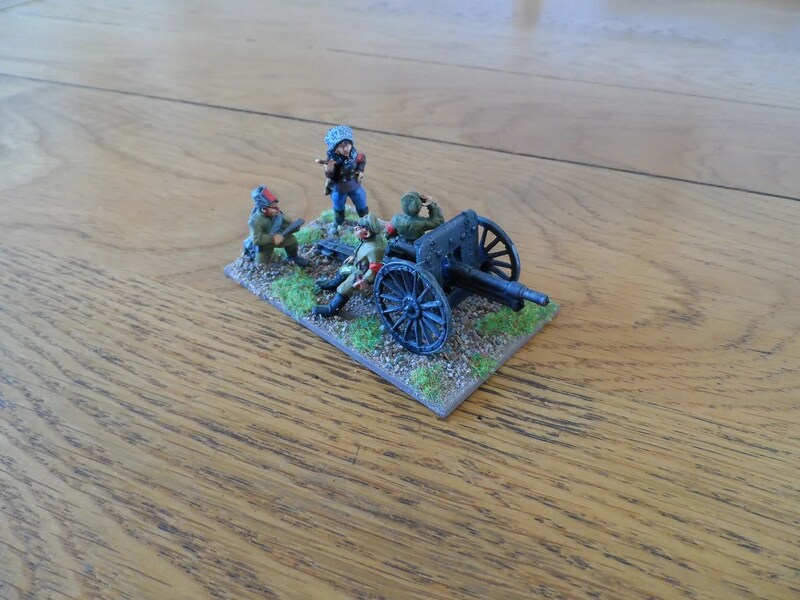 Copplestone Bolshevik field artillery. As per previous comments, I have replaced the commander figure with one from the Bolshevik Heroines pack to make it a bit different. 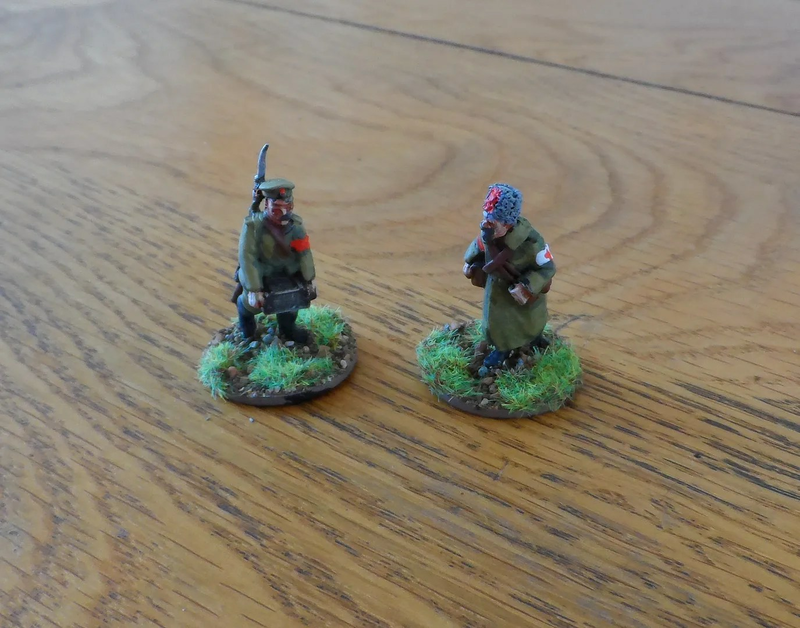 medic and Ammo carrier from Musketeer, now Footsore Miniatures WW1 Russians packs. Though slightly smaller and not as beefy as the Copplestone stuff these figures fit in nicely and help expand the range of poses on offer.